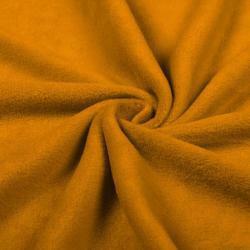 Fleece is a versatile and very soft fabric. 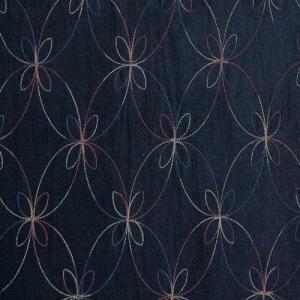 This fabric is good to use for making vests, sweaters, leggings and blankets. 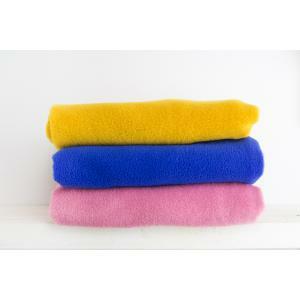 It feels comfortable, soft on the skin and fleece keeps you warm. 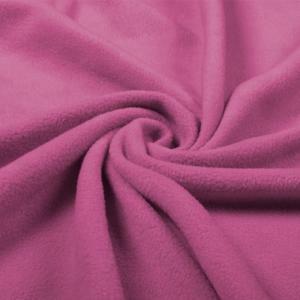 Fleece is so warm because it is knitted very loosely with textured yarns, then it is washed so that it shrinks strongly and is finally roughened and shaved on two sides. 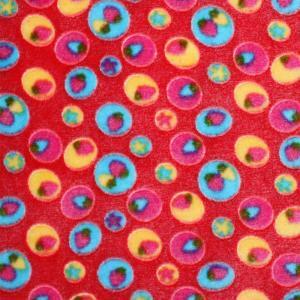 Quality: Polyester (100%) Width: 145 cm Weight: 270 g/m2 Product code: 5154010..
Quality: Spun-Polyester (100%) Width: 150 cm Weight: 300 g/m2 Product code: 1620058..
Quality: Polyester (100%) Width: 150 cm Weight: 275 g/m2 Product code: 5620002..
Quality: Polyester (100%) Width: 145 cm Weight: 270 g/m2 Product code: 5154004..
Quality: Spun-Polyester (100%) Width: 150 cm Weight: 300 g/m2 Product code: 1620068..
Quality: Polyester (100%) Width: 150 cm Weight: 275 g/m2 Product code: 5620020..
Quality: Polyester (100%) Width: 145 cm Weight: 270 g/m2 Product code: 5154008..
Quality: Polyester (100%) Width: 150 cm Weight: 275 g/m2 Product code: 5620058..
Quality: Polyester (100%) Width: 150 cm Weight: 270 g/m2 Product code: 5155058..
Quality: Spun-Polyester (100%) Width: 150 cm Weight: 300 g/m2 Product code: 1620002..
Quality: Polyester (100%) Width: 150 cm Weight: 275 g/m2 Product code: 5620061..
Quality: Polyester (100%) Width: 145 cm Weight: 270 g/m2 Product code: 5154006..
Quality: Spun-Polyester (100%) Width: 150 cm Weight: 300 g/m2 Product code: 1620042..
Quality: Polyester (100%) Width: 150 cm Weight: 275 g/m2 Product code: 5620005..
Quality: Polyester (100%) Width: 145 cm Weight: 270 g/m2 Product code: 5154005..
Quality: Spun-Polyester (100%) Width: 150 cm Weight: 300 g/m2 Product code: 1620040..
Quality: Polyester (100%) Width: 150 cm Weight: 275 g/m2 Product code: 5620066..
Quality: Polyester (100%) Width: 145 cm Weight: 270 g/m2 Product code: 5154001..
Quality: Polyester (100%) Width: 150 cm Weight: 275 g/m2 Product code: 5620023..